There’s a wolf eating tacos in Australia! Lazy Wolf: Are you a mem? Koala Bear: What’s a mem? 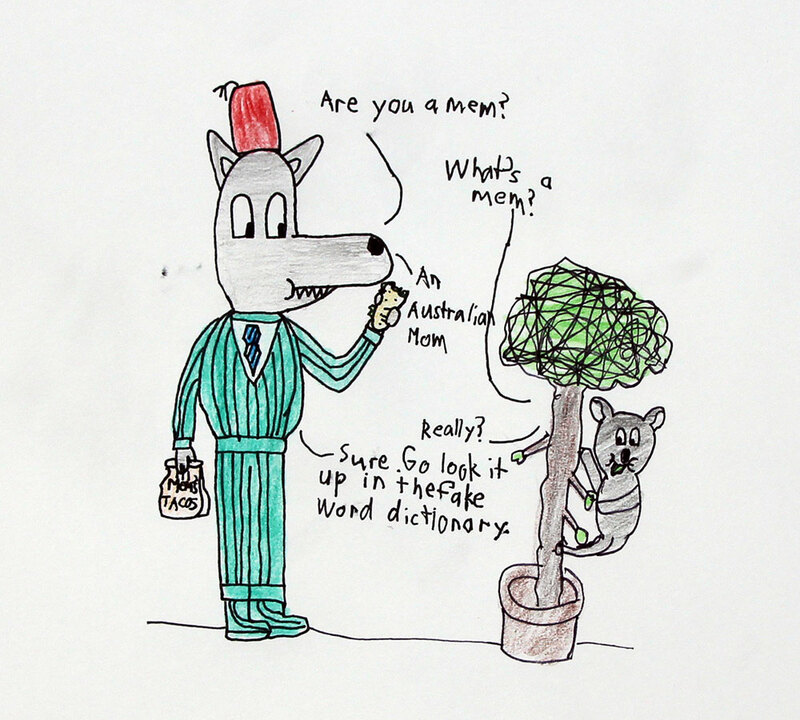 Lazy Wolf: An Australian Mom. Lazy Wolf: Sure. Go look it up in the fake word dictionary.